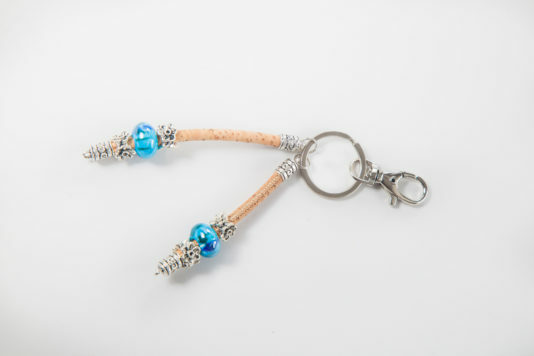 Elegant key chain with two cork pendants, decorated with blue beads and openwork metal inserts. 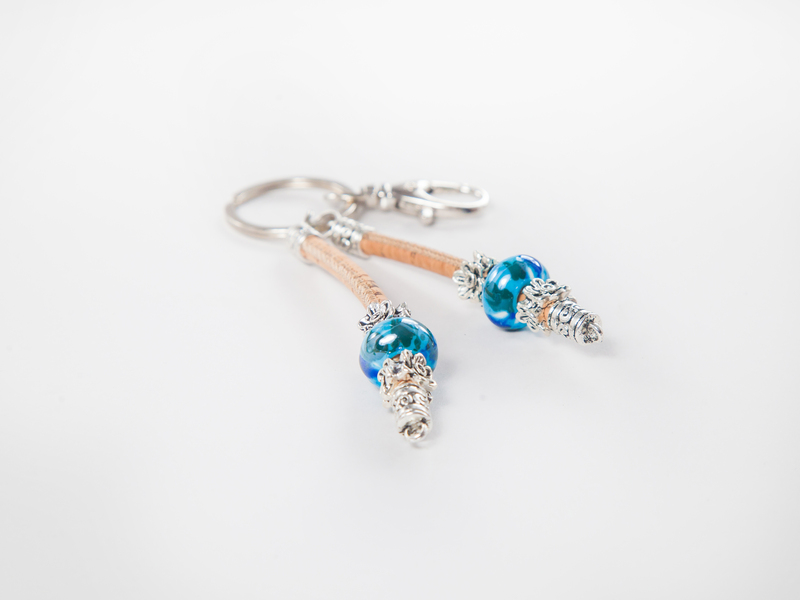 Keychain material: cork, zinc alloy. The length of one pendant is 9 cm, the other is 7.5 cm.